Whether standing alone or assembled in groups, Katherine Houston’s porcelain works enhance any setting, bringing color, form and vibrancy to the space they adorn. Looking for wedding centerpiece ideas? Interested in unique decorative conversational pieces or even Christmas table centerpieces? There are a thousand ways to display this unique porcelain artwork, here are a few ways to enjoy your Katherine Houston Porcelain. Centerpieces become the focus of the dining room table, as well as the entire room. Make a statement in your dining room, living room, kitchen or parlor. If you are looking for a few table centerpiece ideas, Katherine Houston Porcelain provides elegant centerpieces that fit in any home, office, space or event. Melons can be displayed in a large variety of habitats – in book shelves, on mantles, and on table-tops as a small centerpiece. 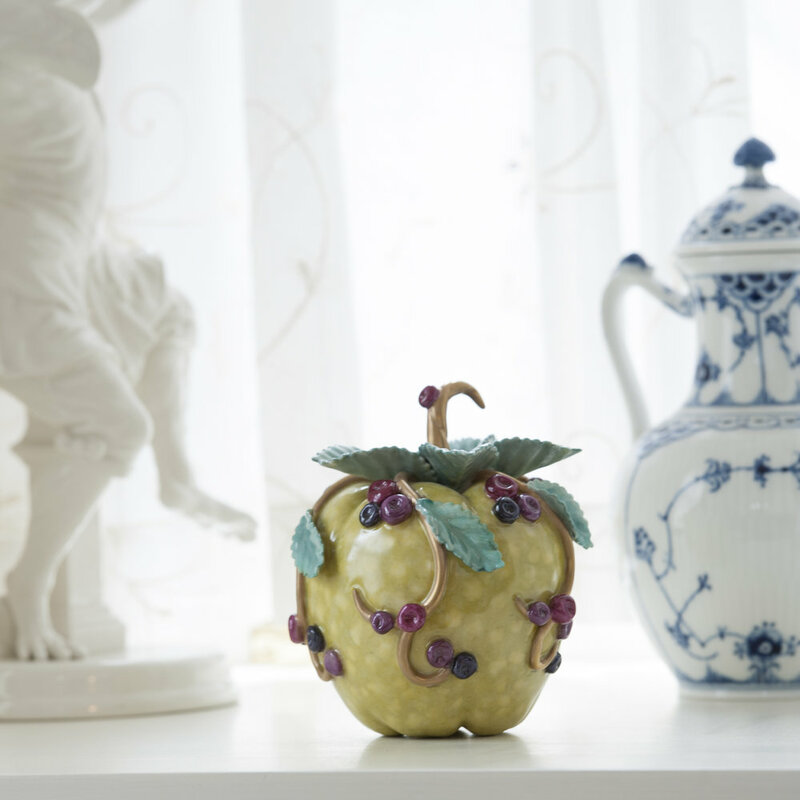 These beautiful hand painted porcelain fruit sculptures are sure to spark a conversation wherever they are displayed! 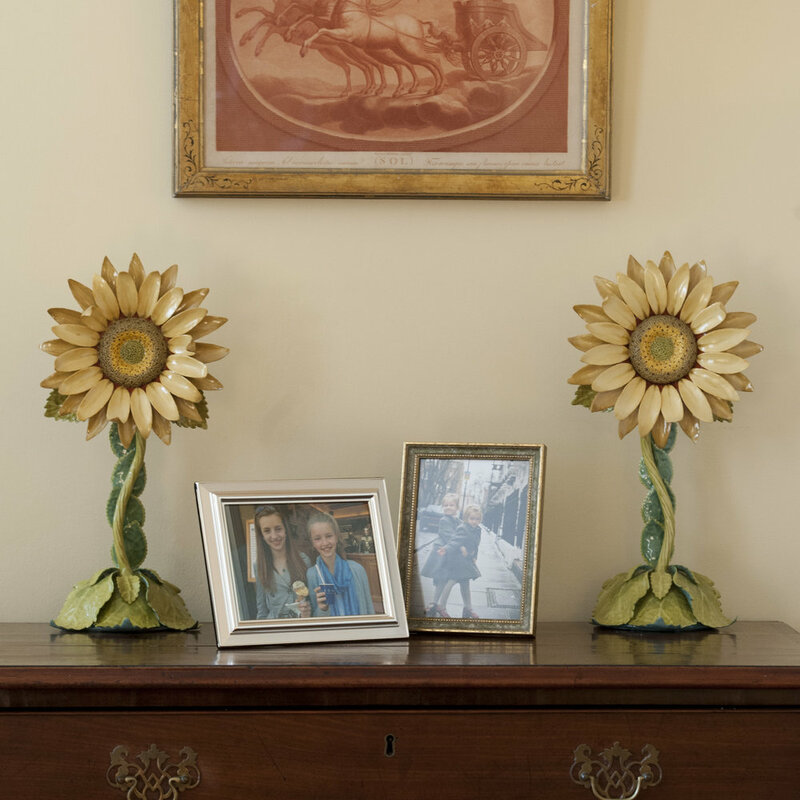 The mantelpiece is a wonderful repository for smaller works, as well as the actual porcelain mantlepiece sculptures made by Katherine Houston. 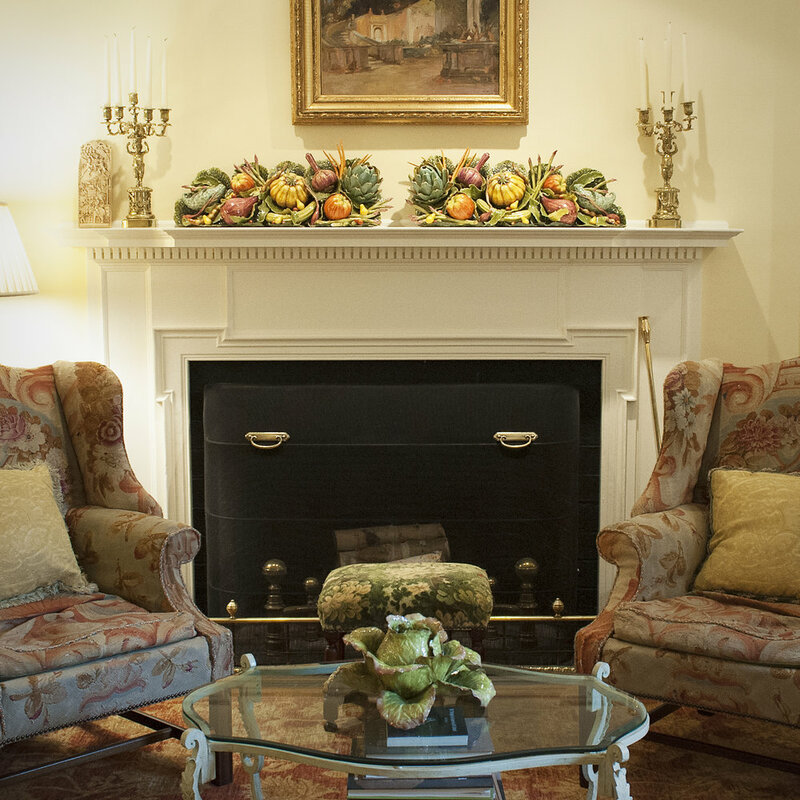 These decorative porcelain pieces provide a lovely framework around the fireplace that your family and guests will admire for years to come. A triptych is a work of art that is divided into three sections, or three panels, that are hinged to be folded or displayed open. Luca della Robbia was an Italian sculpture noted for his charming pottery work and was the first of a dynasty of important pottery artists. 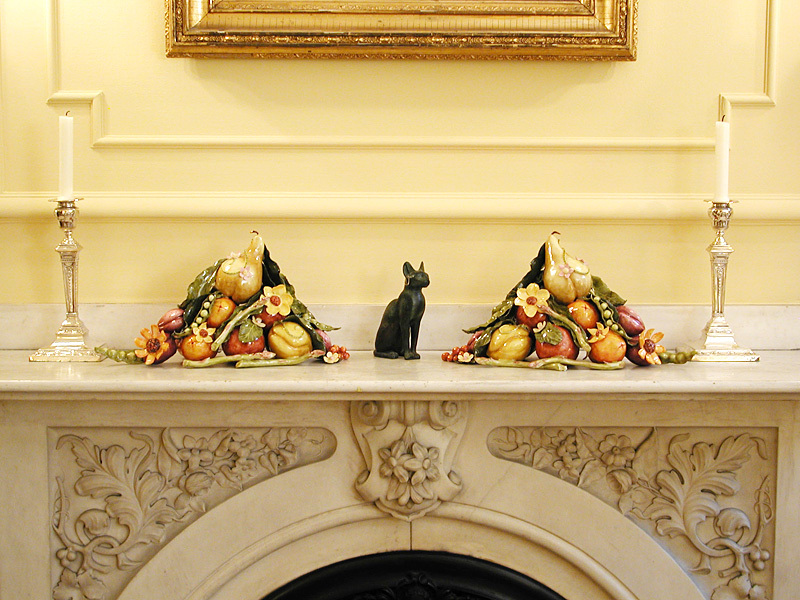 A large triptych composition consisting of a multitude of della Robbia-inspired fruits, this Festive Mantlepiece brings a room to life. Garlands are a beautiful way to enhance your table-top, grand piano or even your wedding reception table centerpieces. For those celebrating any upcoming holidays, such as Christmas or Easter, decorative porcelain garlands make a lovely statement piece for any holiday festivities. Katherine Houston garland pieces come in circular, oval or “S”-shaped configurations. 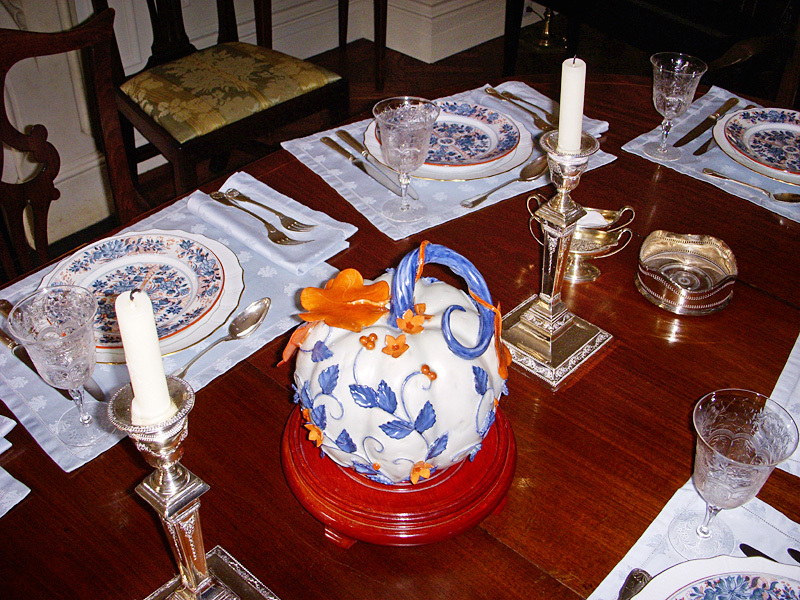 Consider using decorative porcelain to decorate for every event of the year. 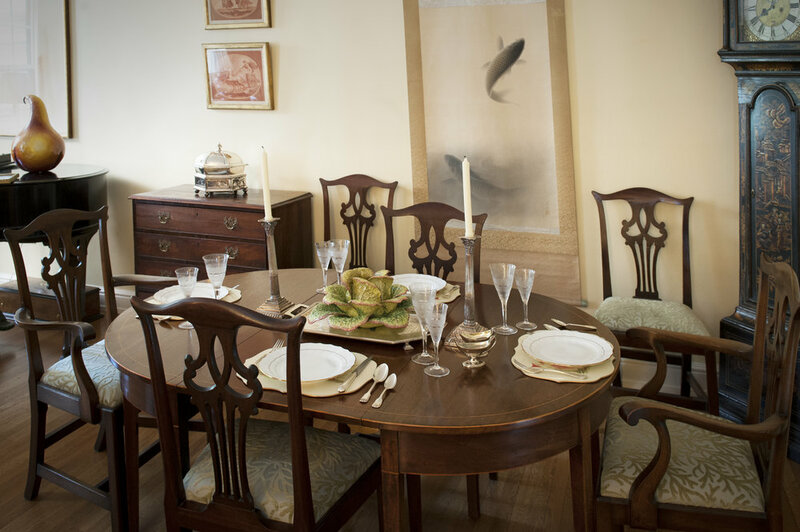 Gather your family for a feast at Thanksgiving over a beautiful porcelain piece of art, conceived in the spirit of the Autumn season. Or, display a sweet peapod porcelain piece to celebrate the arrival of a new baby! You can use Katherine Houston Porcelain to make any holiday (big or small) a success that others won’t forget. There are unlimited ways to display your Katherine Houston Porcelain. Whether you have a bright and vibrant blue poppy on your bistro table, a gorgeous dark green gourd with flowers and strawberries bowl as the centerpiece of your Easter dinner table, or Christmas garlands adorning your mantelpiece in the winter, any piece is sure to delight!